Toyota Diesel Power Box modules are a category of products whose principle operation is based on the change of control signals and signals sensors outside the engine computer (ECU). The proposed solutions have been developed so that the effects of their operation are similar to the effects of Chiptuning. These changes are sometimes the only possible ones - for instance if the unit is not reprogrammable or if the engine is controlled parametrically on the basis of simple logic circuits, and not by a microcontroller. The modules can be easily installed and removed from the machine in minutes. turbo diesel engines through the amended maps fuel pressure, with a choice between 9 different maps pre loaded selectable by switch. Programs can be modified, changed, switched off from laptop (using the Windows program) via USB cable. 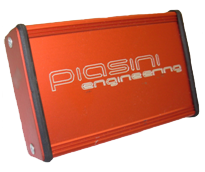 To order directly from Italy Piasineingineering HQ: you can buy the power module Toyota Diesel Power Box with plugs for your car directly from us. Order from an Authorized Partner: you can buy the power module Toyota Diesel Power Box dowel plug & play for your car from our authorized partners . reduces fuel consumption by -10%. It works with common rail diesel engines. The kit is dedicated to companies operating into the tune of calibration. Serial Suite is available in three different versions Slave / Master / Slave linked to the Master. 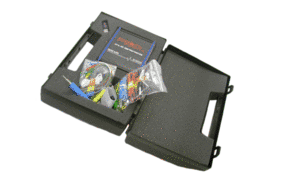 Software supplied with the kit is easy and intuitive for everyone, it shows clear and simple options with menu. The software and its many plug-ins are available for Slave and Master device. You can buy Serial Suite Piasiniengineering Slave / Master / Slave link Master by telephone at +390342489060 or by email.